A celebration of nomadic style, infused with modern feel. A grand space complimented by hot and cold Jacuzzi and decorative centre flood lamp with spot lights to soothe your senses. The ease to store the goodies and towels with extra storage space underneath the double wash basin is boon to work with. Full length mirror and picture portrait gives an enormous feel with a classy touch. 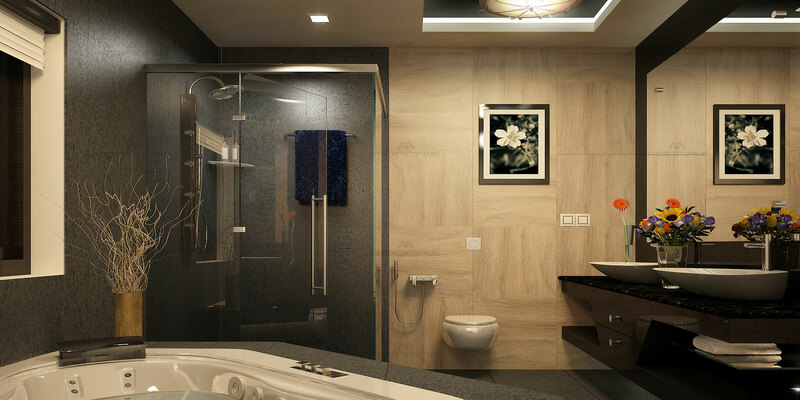 The glass separated shower and sauna area is easy to clean and elegantly luxurious in nature. Let the good vibes take over.